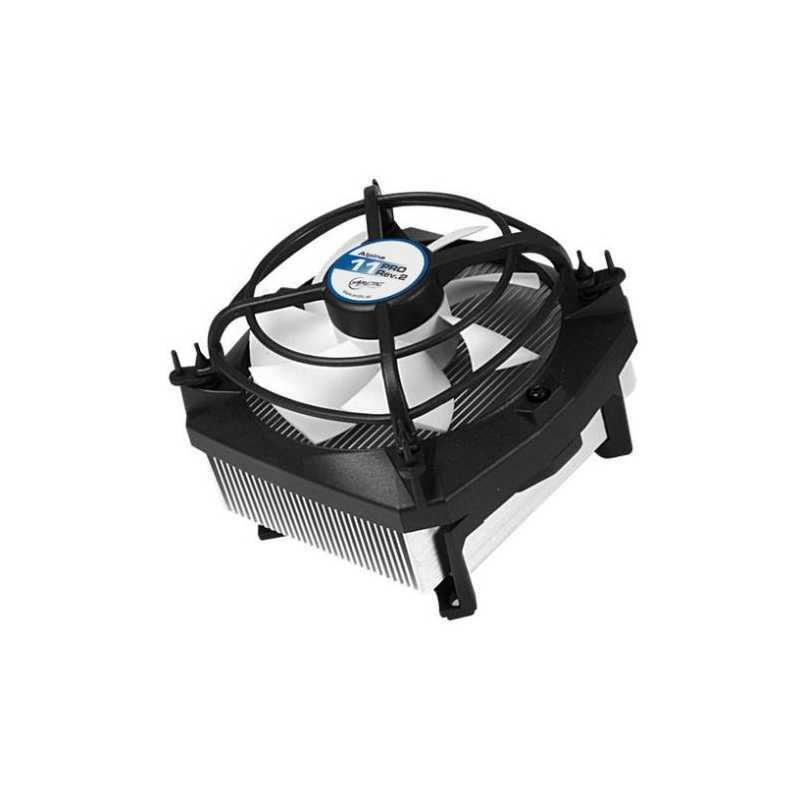 A 92 mm PWM fan on an aluminum extrusion heatsink in combination with pre-applied MX-2 high performance thermal compound provide good cooling performance and improve heat transfer from the CPU. In a test conducted by Dragon Steel Mods, the Alpine 11 Pro successfully reduced the CPU temperature of an Intel Q6600 by 6 degrees. Its low noise impeller, patented fan holder and anti-vibration parts ensure the fan to work quietly even under full load. The test done by TweakTown has shown that the Alpine 11 Pro is 14 dBA and 9 dBA lower than the AMD and Intel boxed cooler respectively at full load. 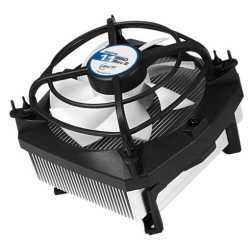 Thanks to the PWM control, the fan speed adjusts according to the CPU temperature and thus the noise level remains at an absolute minimum which qualifies it as a silent cooler. The Alpine 11 Pro features wide compatibility with Intel sockets. Its simple mounting system is designed to fit most of today's CPUs. The Alpine 11 Pro is compatible with Intel Sockets 1150, 1151, 1155, 1156, 775. The patented vibration absorption fan holder is the key to keep the Alpine 11 Pro inaudible. It absorbs vibration caused by the spinning of the fan and thus it's barely heard even when it's running at full speed. Installation is a breeze with the push pins. The pre-applied MX-2 high performance thermal compound makes the installation a quick and clean process. Noise level: "0.4 Sone @ 2,000 RPM"